Click on the picture to see a large version of the photo. 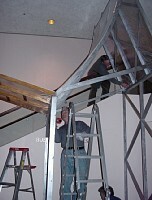 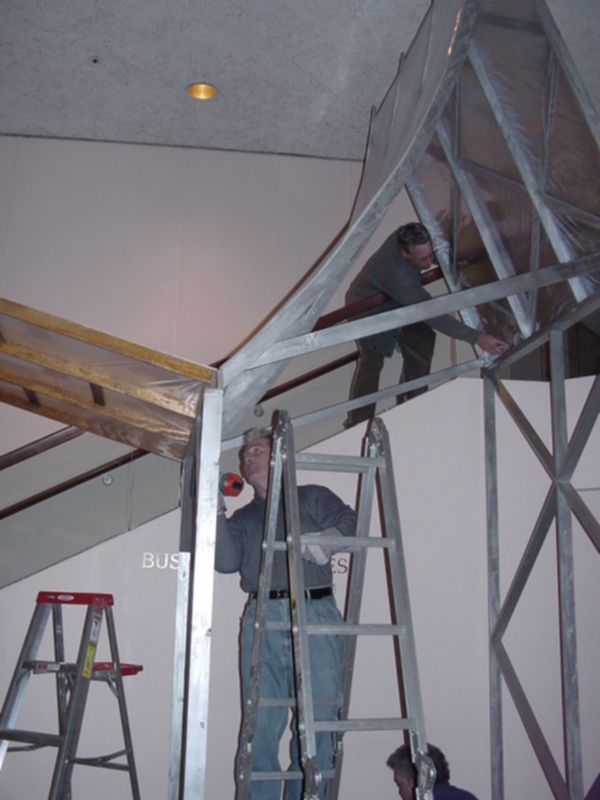 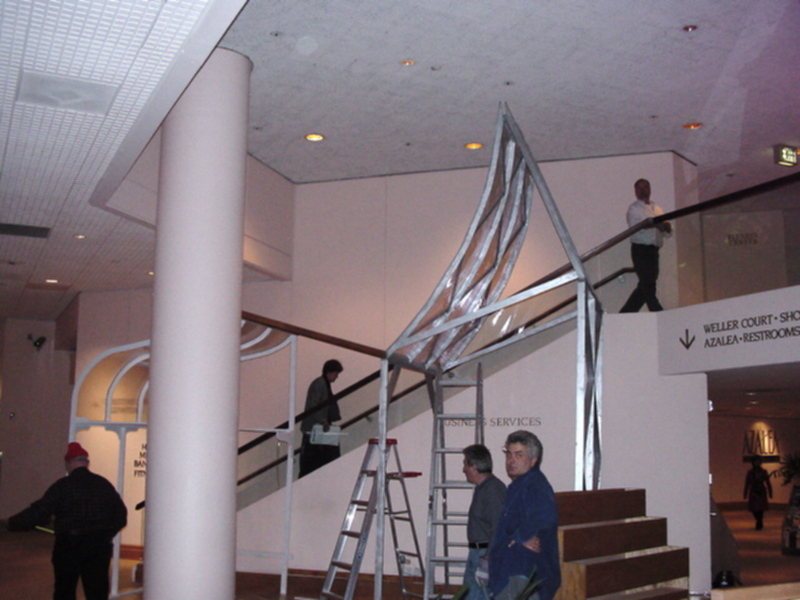 Harry Sinanian secures the "future" part of the display as Dan Dickey provides some final touches. 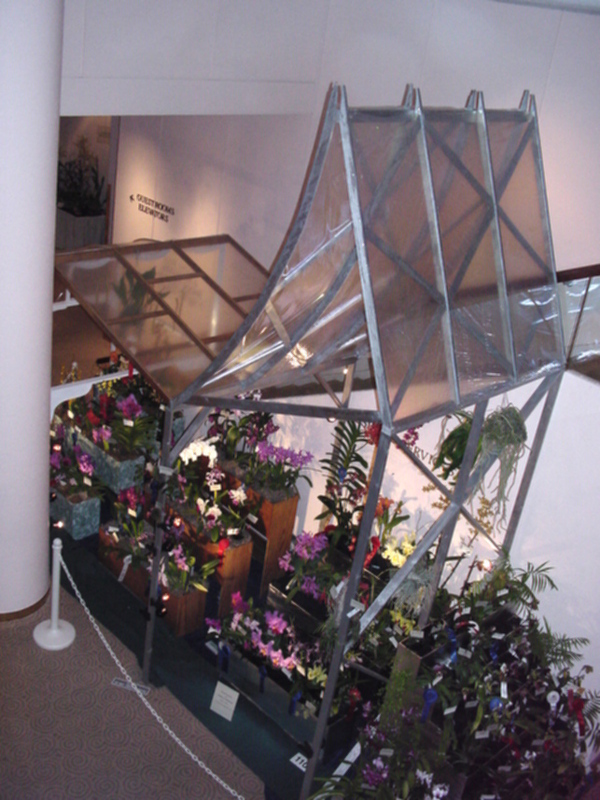 Carpenter extraordinaire Norm Franzle joins Harry Sinanian and Albert Ossa (top of stairs) in surveying the completed "morphing greenhouse". 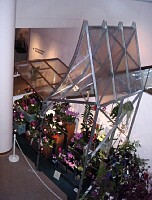 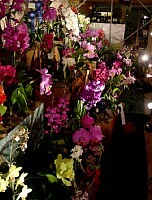 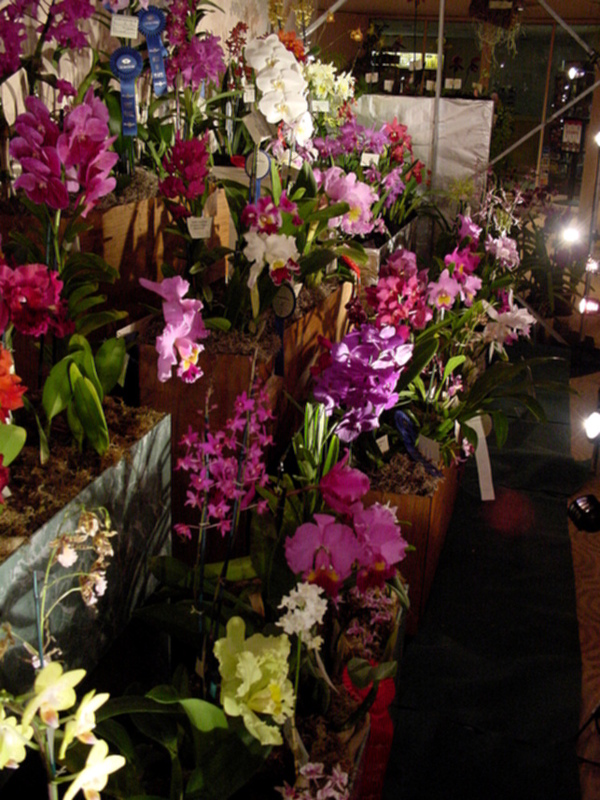 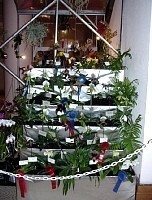 The "morphing greenhouse" fully populated with over 100 beautiful orchids. 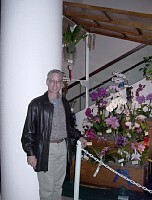 OSSC President Dan Dickey in front of the completed display of orchids. 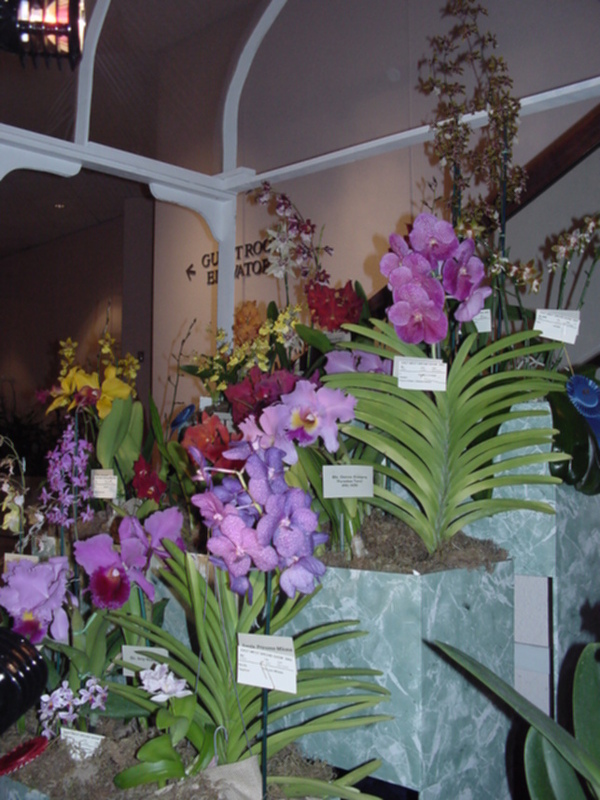 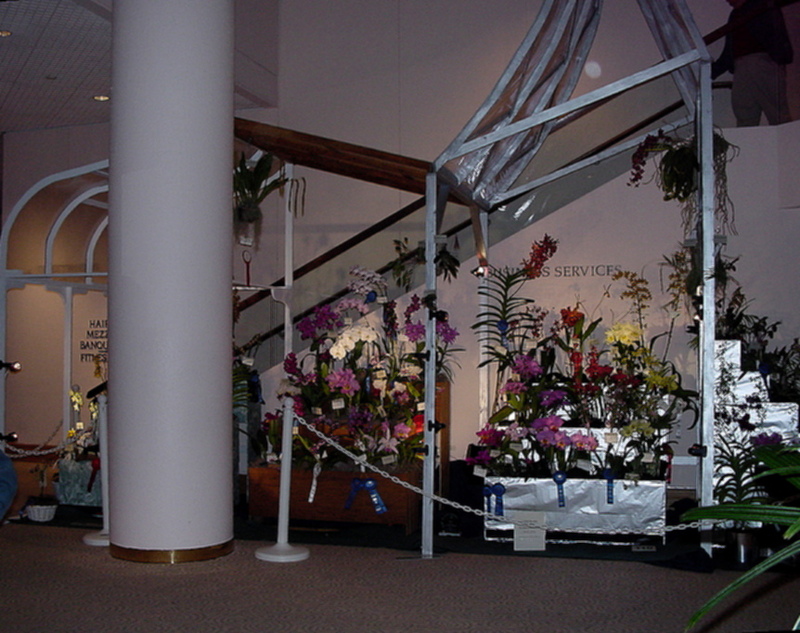 Just some of the many ribbon awards earned by the orchids exhibited in the OSSC display. 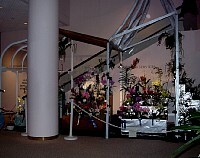 Another view of the completed display. 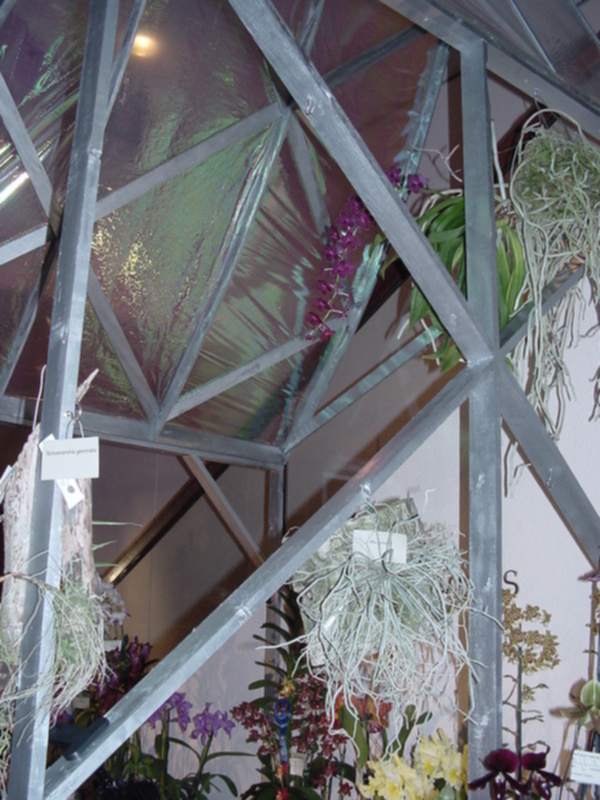 The greenhouse structure gave ample opportunity to show off hanging orchids! 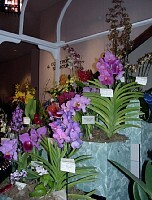 Some of the beautiful purple Vandas and Cattleyas in the display. 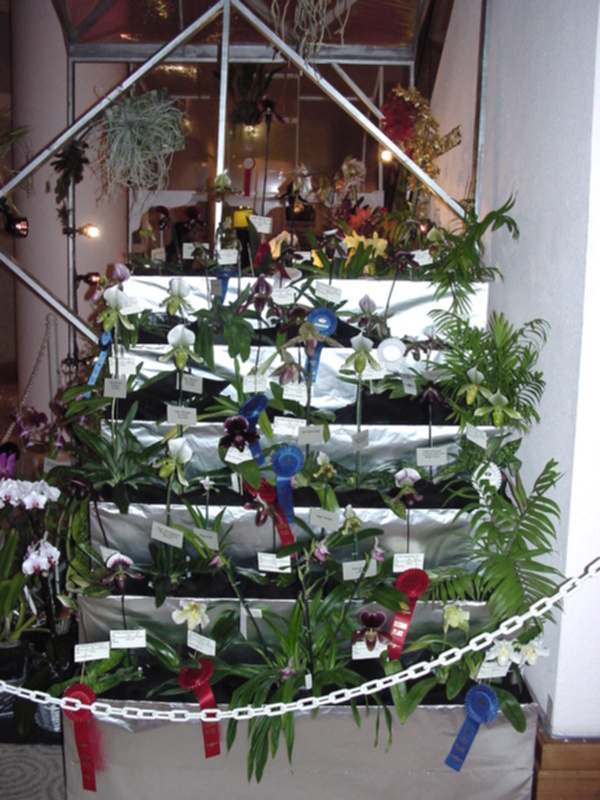 OSSC's trademark "Wall of Paphs" garnered many ribbon awards.